Can I Cook Romaine Hearts in a Skillet? A woman is cooking in her kitchen. 4 Can You Cook Lettuce? Although most people think of lettuce as something to eat raw instead of cooked, you can cook hearty types of lettuce. 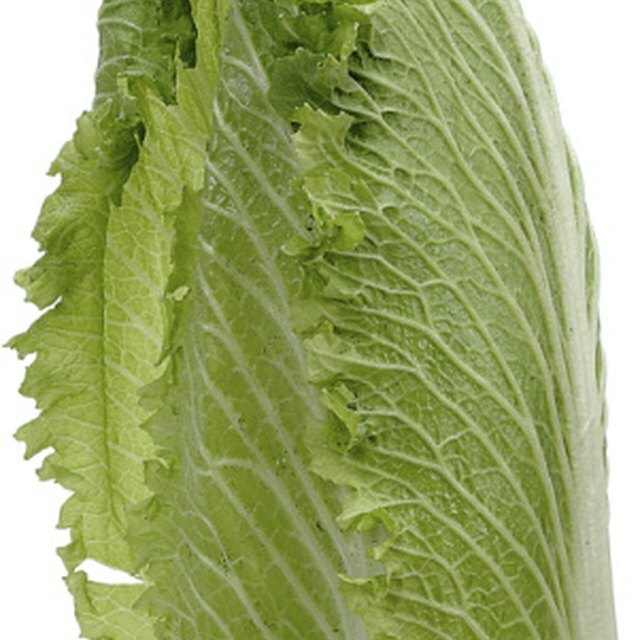 Romaine hearts have tightly packed tender leaves and wide stalks, making them perfect for cooking. Cooking them quickly in a skillet brings out some of their natural sweetness and makes for an interesting side dish. Cook only the heartiest portion of the head of romaine and leave it intact to keep it from getting slimy. Prepare each heart of romaine by rinsing it under cold water and pull off any wilted leaves around the edges. Cut it in half lengthwise, leaving the bottom intact so each half stays together. This method of preparation exposes the innermost part of the head of lettuce to the heat so it will cook quickly. Use simple seasonings on the romaine to bring out the sweet flavor of the tender leaves in the heart. Brush the cut half of each heart with olive oil and sprinkle it with salt and pepper. If you would like your romaine hearts to be part of a Caesar-style salad, press shredded Parmesan cheese onto the cut side of each heart as well. Preheat your skillet over medium-high heat and spread a tablespoon of butter or olive oil in the pan about a minute before you add the romaine hearts. Place each heart in the pan, cut side down, and cook it until it begins to brown, which should take one to two minutes on each side. If you would like the lettuce to be softer, add a half cup of vegetable stock to the pan at this point, cover it and cook for up to 15 minutes, depending on how soft you want the romaine. You can serve cooked romaine hearts several ways. If you cooked them very soft, serve them with a ginger dressing in place of bok choy as a side dish accompanying fish. If you cooked them quickly, drizzle a little bit of vinegar on them and serve them as a salad for a starter. According to Alton Brown, a chef on the Food Network, suggests freezing vinegar and shaving it with a fork to create vinegar ice to sprinkle over cooked romaine for a hot and cold salad. You can also serve them with toasted croutons, shaved Parmesan and Caesar dressing. Can You Put Iceberg Lettuce Into Your Stir-Fry?